The technological space is booming with a plethora of mobile app development companies that promise a host of functionalities in multiple spheres. However, it is a tough task to zero in on the right Android app development company in India. So, it is up to you to pick and choose from the listing of top app development companies. But the question is: How can you make an apt selection? You can check the goodwill that they have garnered with their existing clientele along with validating their track record of their Android mobile apps through customer testimonials that will be posted online on their sites. If you are looking to associate yourself with an Indian company that will help you develop seamless and high-quality Android apps, here is the list of 13 such Indian companies that can serve as your reference guide. All these companies have one thing in common and that is their established presence in the industry of Android app development. 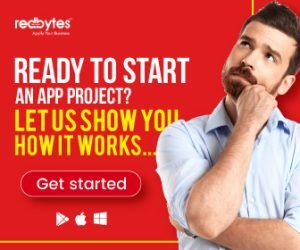 Driven by the “Appify Your Business” tagline, Redbytes Software is the topmost Android app development company in India that amazes its customers by transforming simple ideas into incredible mobile apps. 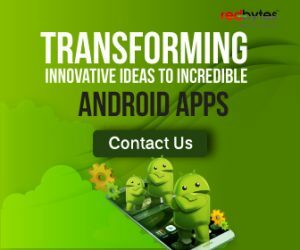 Capable of handling any type of mobile application development project, the technical team of Redbytes offers world class services to its esteemed clientele. With a track record of creating over 350+ mobile apps with over 60 million downloads, it is not an overstatement to say that Redbytes Software is the best in the league of Indian companies focusing on the development of Android apps. With more than 8 years of experience in the app development scene, Redbytes Software, with its development center in Pune has the goodwill of more than 260+ customers as its intangible asset. Supported by a team of professional designers, programmers, testers and team leads, Hyperlink Infosystem is another Android app development company, headquartered in the Indian state of Gujarat. This company is one of the top mobile app development companies that banks on the concept of teamwork as a driving force behind its success. Making its presence in the arena of Android app development since the last 5 years, Hyperlink Infosystem relies on its skilled technical team to churn out iOS and Windows apps. With over a forty year old standing in the mobile app development sphere, Lochbridge is another noteworthy Detroit-based company that creates apps that are linked to health and automotive fields. With over 500 mobile applications that were created on Android and iOS platforms, Lochbridge with its Indian development center in Gurgaon caters to the technological needs of both the private and Indian public sector undertakings. With its mobile app development operations in Australia and the US, Appster is another company that has a strong presence in the Indian market, as well. Appster operates through a professional and highly-skilled workforce that can deliver seamless Android, iOS and Web technologies. With its Indian headquarters located in Gurgaon, Haryana, Appster is a unique enterprise that picks and chooses startups that can challenge its development abilities and surpasses their expectations in more ways than one. Proud of delivering scalable and interactive Android applications for global clients, FuGenX is a noteworthy Deloitte-based Android App Development company, operating through multiple offices in India. With Indian development centers located in Bangalore, Mumbai and Delhi, FuGenX serves a host of clients operating in the e-commerce, healthcare and travel businesses. If you are looking for a company that is a one-stop-shop for all your Android Application Development needs, you know whom to contact. Backed by the support of proficient and skilled Android app developers, OpenXcell has lots to cheer for. With over 8 years of strong experience in the mobile app development industry, the Indian wing of OpenXcell set up in Ahmedabad takes pride in its array of mobile apps. These apps are the result of robust codes supported by seamless user-experience and user-friendly interface that is delivered by its app development team. If you are scouting for a perfect partner to deliver Android apps to your business, you have come to the right place. Cumulations is an Indian company, headquartered in Bangalore offering simple yet user-centric mobile apps to its esteemed clientele. Taking care of the entire mobile app development process from the start until it is deployed, Cumulations through its maintenance services offers the updated version of apps in line with the release of the latest Android OS version. Delivering close to 50 business and enterprise Android apps to various clients across the globe, GoodWorkLabs, with its office in Bangalore stands by the promise of offering quality products tagged with an unparalleled user-experience. Recognized as one of the certified Google Developer Agencies, you can bank on the expertise and technical know-how of this company to build Android apps for your business. 9. Prismetric Technologies Pvt. Ltd. 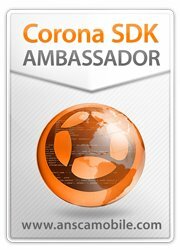 If you are looking to connect with a renowned Indian app development company that guarantees you the delivery of unique, user-friendly and engaging Android mobile apps, then look no further. Simply sign up with Prismetric and be at the receiving end of intuitive strategies that this company employs in the churning of performance-oriented and customer-centric mobile apps. Tagged as an ISO 9001:2015 certified Amazon Web Services provider, you can bank on the Gujarat based Prismetric to avail mobile app marketing services that it provides to its esteemed clientele. Recognized as a prominent name in the industry of IT services, Octal IT Solution is one of the top Indian company that engage in the development of Android apps for businesses across the globe. Making its strong presence felt in more than 40 countries including the Indian state of Rajasthan, Octal IT Solution has garnered the goodwill of over 1200 clients. Employing simple yet polished approaches to churn out mobile solutions, Octal IT Solution can help your business meet its technology-specific objectives; the smart and effortless way. Check out the home page of IndiaNIC Infotech Limited and you will find that it is the sheer passion to build mobile apps that is the driving force behind the success of this company. Making the most of the creative and professional team of mobile app developers, IndiaNIC Infotech Limited brings to the table a host of Android driven apps for smartphones, TVs and tablets. Android Wear Apps are the novel and creative offerings that this Indian company based out of the state of Gujarat is proud of. Intuz is another mobile app development company in Gujarat which specializes in the creation of next-gen enterprise solutions offering Android apps to its clientele. Promising its partners higher levels of productivity teamed with competitive growth, you can bank on the technical expertise offered by its team of app developers. Adept at churning out customized applications, Intuz also offers mobile app marketing services to its customer base. With development centers in Thiruvananthapuram and Kochi, Experion Technologies (India) Pvt. Ltd. is another Indian company that employs state-of-the-art technologies to build mobile apps for Android, iOS (iPhone and iPad), Windows and Blackberry. Experion Technologies takes pride in allowing its clients to choose from a variety of development platforms. 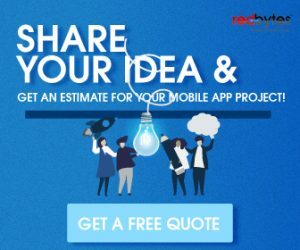 This company also has the credit of hand-holding many companies right from their days of prototyping until the time they were able to come up with their app store submissions for the end users to download and use. All these 13 Indian firms, some of which are multinational companies have established a strong foothold in the software industry as the top enterprises offering professional Android app development services to clients spread across the globe.